As the conflict in the Cameroons deepens with a sharp increase in civilian casualties, the security scare doesn’t exempt the oil companies. It has led to the sharp drop of interest in acquiring drilling licenses for exploitation in Southern Cameroons. Eight sites of crude terrain have been put up for bid by the CGG GeoConsulting and its affiliate Robertson, six of which are offshore acreages and the remaining two are onshore zones, ready to be drilled for oil. 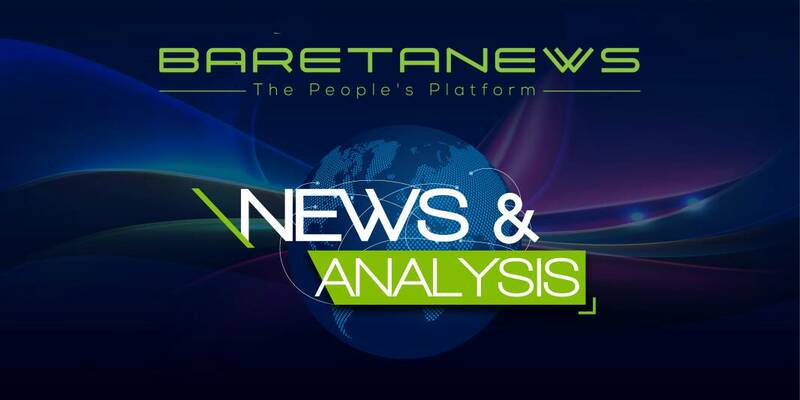 Firms that were deemed worthy to be granted the lease were to be notified of their status before July 18 but BaretaNews has gotten official confirmation only one of them met with the financial and technical compliance level to proceed. Thus far, just three firms have shown interest, with everyone of them submitting the bidding application prior to the June 29 deadline for three separate licences. Their targets were mostly the offshore acreages surrounding the Rio del Rey, Douala and Kribi-Campo basins. All of which are areas far from the conflict hot spots and closer to the territory of La Republique du Cameroun. It’s reported the LRC-run hydrocarbons company, SNH is in negotiation talks with two other applicants but their standing are yet to be determined. No official announcement has been made by the state-player, Energy minister or bidding organizers and no deadline set. It’s highly likely just one onshore zone was leased out. the Kombe-Nsepe zone, situated east of Douala. The Bakassi peninsula and its surrounding shallows enclaving the border with Nigeria, situated in the Southern Zone are prone to civil war which has befallen the Southern Cameroons and continue to further escalate. And thus in this area, drilling is difficult. For the same security concerns, the prospective Mamfe basin, situated in the Manyu county and the Ndian River zone were not formally put up in the original bidding list as a result of security concerns. Oil company New Age and its partners Lukoil and Bowleven plan locating a liquefied natural gas facility off Victoria, to be built by SBM Offshore, in close collaboration with JGC of Japan which is expected to hold some 1.4 million tonnes of natural gas annually to go operation by 2022, have been warned by Restoration Forces to cease all their operations. Very soon, it’s going to be not just Oil firms. papito , express yourself. Idiots is just one word. @tabetando, Papito simply said Idiot because you are too fool not to be able to read down the ligne. These companies are bracing themselves for the worst, wait till after the election. Idiots like you are here dancing kumbayar on a “No News’. The world should know that Ambazonians are not zealots who are spoiling to fight just for the sake of fighting. We have been cheated by many and we are not going to take it any more. To those who want to continue to support the Beti/Bulu/Ewondo criminal gang that is being led by the wife murderer and french slave boy call Biya know that you will be held culpable for your crimes. Is this not incredible that the very individuals who are supporting the thieving behaviors of this blood sucker call Biya are the same people who are grand standing and telling the world how they are helping “poor” Africans? In fact, the french leeches are really pathetic specimens that have no ounce of shame in them; no wonder they have no problem frolicking with a wife murderer. @aMukong what is ambazonia? You started this nonsense alone and why do you need Cameroonians from SW to help you destroy our Country? Why can’t ‘Ambazonians stand by their own? People from the SW have nothing in common with you, understand that. They can’t stand you idiots! They tolerate you exactly like the rest of the country. You are just neighbours, nothing more. Now they have enough of your nonsense! are you not fighting to become the next cheat? Ekema is waiting for you.